KAMPALA – The former president of Forum for Democratic Change has formed a new political group that he intends to use to run for Presidency in 2021 general elections. Maj Gen Mugisha Muntu said the new political group will be announced before Christmas and be launched than join other opposition forces seeking to cause regime change in Uganda. The announcement brings to end months of speculation and followed days of political haggling over the former army commander’s political direction after he lost the FDC party presidency to Mr Patrick Oboi Amuriat in November 2017. “Our departure is in good faith and our commitment to a united opposition is more real and we shall keep our dialogue real.” He said at a press conference held at Hotel Africana September 27. Rtd Maj Gen Muntu said the new political group will not work in isolation but together as opposition as they continue to fight the common enemy, the NRM bad governance. “We hope to launch the new formation before December 25, 2018, and we are calling upon all like thinking Ugandans to join us,” he noted before adding that no single party can rescue the country from the dangerous path it is treading on because the political space is shrinking day by day as well as the patience of Ugandans. Muntu, however, downplayed the notion that he is power hungry, noting that he is always willing to pave way for others to lead. 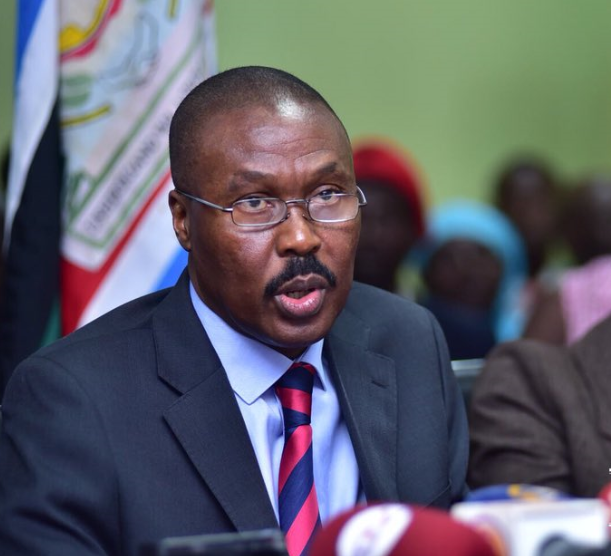 Since his days at the party president, Rtd Maj Gen Muntu has been branded as being planted by government within the opposition, and the notion became more pronounced when he officially declared leaving the biggest opposition party. “There was no time I was not called a mole. Even when we were in the bush, they didn’t trust me. 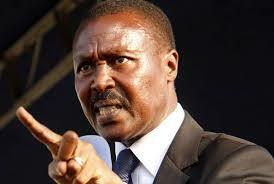 Commanders had to put me under surveillance until they realized I was genuine,” Rtd Maj Gen Muntu said. The former FDC president said there was no need for him leaving the party if indeed he had been planted by government to destabilize it adding that he would better spy on them while still within the party. Rtd Maj Gen Muntu explained that he has a core principle of being honest, noting that he would not waste his valuable time to spy his fellow opposition members and then leave unceremoniously. He said he at one time turned down a ministerial position from President Museveni to show he was not determined to fall for anything or serve in the ruling NRM government. The Former Opposition Forum for Democratic Change (FDC) president on Thursday, September 27 addressed a televised press conference on his exit from the party. -We hope to launch the new formation before December 25, 2018, and we are calling upon all like thinking Ugandans to join us. -We have developed an online portal www.newformation.ug specifically for the purpose of connecting with you. -Uganda as it currently stands can easily plunge into anarchy… People have lost trust in the state. Our health and education sectors are in chaos. There’s rising insecurity, inequality and injustice. -For us to de-escalate mounting tensions, we must be willing to reach out beyond our parties, communities and faith. We must be willing to recognise that one Uganda One People cannot be achieved without truth and justice; that peace, unity and transformation cannot happen without People’s power being our power. -But when all is said and done, the boda-boda rider has as much claim to this country as the richest businessman; those born in our ghettos are as much our children as those born in our most expensive suburbs. -When our police keep law and order, they should do so as passionately for the Opposition as they do for those in power. We must recognise that for each of us; the black, yellow and red stripes of our national flag represent a place we call home. We are brothers and sisters and not enemies. -Our new formation may use strategies that are different from other parties but our goal will be the same; a Uganda that works for us all. In this regard, I wish to highlight our commitment to cooperation with democracy-seeking forces as a bedrock of our new formation. God Bless Uganda! -To transform Uganda, woman’s voice’s and the voices of other marginalised Ugandans need to be heard and included in the mainstream.